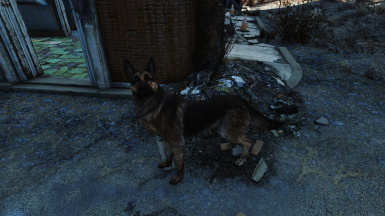 This patch updates the dogs from Unique NPCs - Creatures and Monsters of the Commonwealth to use the NoSharedDogmeatTemplate from Better Companions – All in One, which prevents mods like Better Companions – All in One and Dogmeat - A True Companion from making the new dogs excessively overpowered. 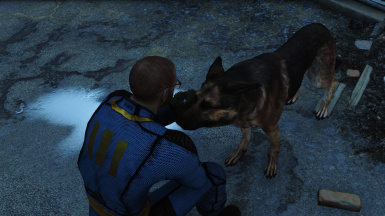 Better Companions - All In One "NoSharedDogmeatTemplate" file under Optional Files is required; the base mod is not. 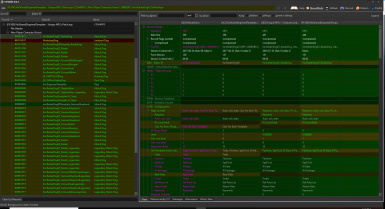 Please use the permissions provided by Thirdstorm on the Unique NPCs Creatures and Monsters page. This patch was made with explicit permission from Thirdstorm, and is created within the permissions provided by Techprince. I would also like to acknowledge Kinggath for the idea, and Zazuban for the sometimes dangerous improvements to Dogmeat. This is a patch I made for Kinggath’s Never-ending Let’s Play of Fallout 4. It patches Unique NPCs Creatures and Monsters﻿ by Thirdstorm and the NoSharedDogmeatTemplate available under Optional Files from Techprince’s Better Companions – All in One. Unfortunately, this resulted in some seriously overpowered enemy dogs. Be sure to place this patch below both Unique NPCs Creatures and Monsters﻿ and NoSharedDogmeatTemplate in your load order.